Grab a handful of fat quarters and you're on the road to a fast and fun quilt! 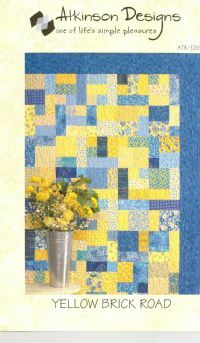 This super simple quilt is rotary cut and strip pieced...it just looks like you emptied out hte scrapbag. A great project for beginners!